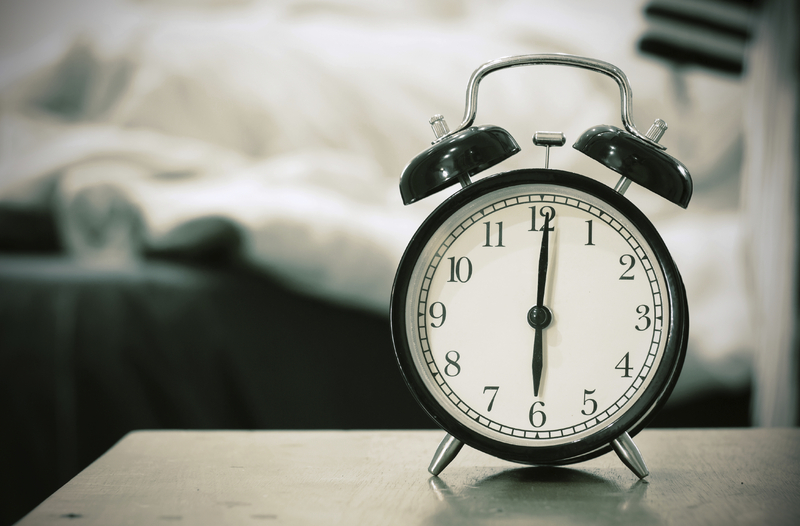 Turning the clock ahead or back one hour may do more than mess with our sleep cycle. According to new preliminary research, daylight saving time transitions may be tied to an increased risk of a common type of stroke. "Previous studies have shown that disruptions in a person's circadian rhythm, also called an internal body clock, increase the risk of ischemic stroke, so we wanted to find out if daylight saving time was putting people at risk," study author Dr. Jori Ruuskanen, of the University of Turku, in Finland, said in a statement. According to the American Heart Association, ischemic stroke, which is caused by a clot blocking blood flow to the brain, accounts for about 87 percent of all stroke cases. For the study, Ruuskanen and his team analyzed a decade of stroke data in Finland from 2004 to 2013. They compared the rate of stroke in over 3,000 people hospitalized during the week after a daylight saving time transition to the stroke rate in almost 12,000 patients hospitalized either two weeks before or two weeks after that week. The results showed that the overall rate of ischemic stroke was 8 percent higher during the first two days after a daylight saving time transition. "Looking at over a decade of stroke data, we saw a temporary increase in stroke incidence after daylight saving time transitions," Ruuskanen told CBS News. "Although from an individual point of view, this small increase in stroke risk we see in a population level is probably not a major issue, the study emphasizes the importance of sleep disturbances as a risk factor for stroke." There was no difference in stroke risk after two days. This year, clocks will "spring forward" for daylight saving time on Sunday, March 13. Cancer patients and people over the age of 65 appeared to be at a higher risk of stroke immediately after the time change, with a 25 percent and 20 percent increased risk respectively right after the transition. "Older age and cancer are well-known risk factors for stroke," Ruuskanen explained. "These people may be more prone to sleep difficulties, but there may also be other factors, such as changes in immunology, which interplay with sleep disturbance to increase the risk further." Hospital deaths from stroke did not increase in the week after a daylight saving time transition. Dr. Teshamae Monteith, an assistant professor of clinical neurology and director of the headache program under the general neurology division at the University of Miami, said that although the overall risk found in the study is small, it is still significant. "Stroke is a major health problem resulting in high rates of disability," she told CBS News. "Understanding the timing of stroke onset is critical, because acute stroke management depends on receiving treatments within a relatively short window." A 2014 study published in the journal Open Heart found that setting clocks ahead one hour in the spring was also associated with short-term risk of heart attack. It's important to note that both studies show an association -- not a cause-and-effect relationship -- and do not look into the potential mechanisms for the link. But experts have some theories. "The circadian rhythm influences numerous bodily functions including metabolic, physiologic, and behavioral changes," Monteith said. "Although confirmatory studies are needed, I believe this study supports the link between circadian rhythms and vascular events." Ruuskanen pointed out that other studies have shown that disruption of the circadian clock due to other reasons, such as a rotating shift work, and fragmented sleep are also associated with an increased risk of stroke. "What is common in these situations is the disturbed sleep cycle, while the immediate mechanisms for the increased risk remain unknown at the moment," he said. More research is needed to confirm the relationship and explore potential reasons for the apparent increased risk. "Further studies must now be done to better understand the relationship between these transitions and stroke risk and to find out if there are ways to reduce that risk," Ruuskanen said.